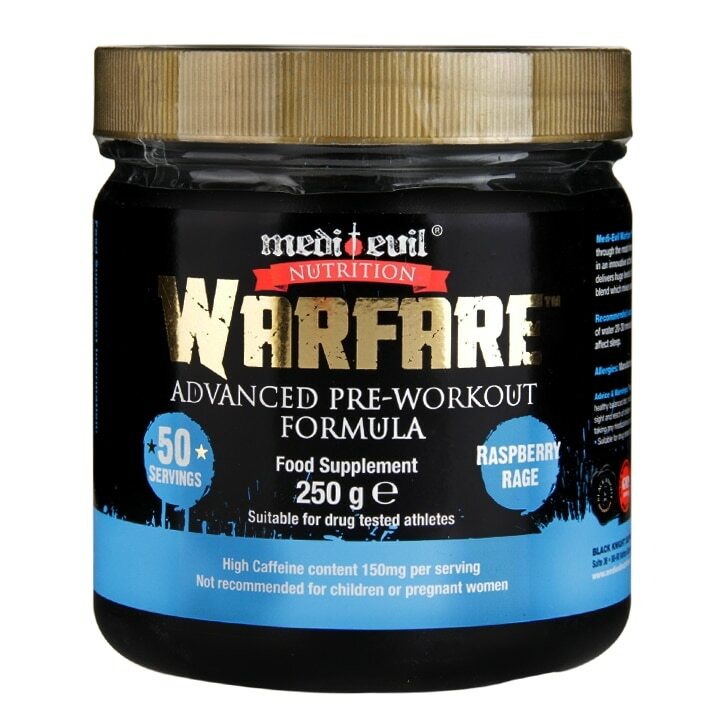 Medi-Evil Warfare Pre-Workout Raspberry Rage is rated 4.8 out of 5 by 5. Rated 4 out of 5 by Sics07 from Tastes good Just got this today, ohhh the tingles, my whole body from the bottom of my feet to top of my head, had serious itching feeling, but watermelon flavour tastes great, felt the energy, but I think my body don't agree with it, itchy itchy reaction. Rated 5 out of 5 by PBtraining from Best preworkout! Ive used just about every preworkout Holland and Barrett has to offer and this is by far the best. Very powerful but with none of the side effects. Very impressed.